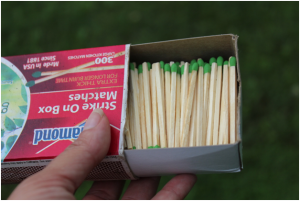 What do you do when you our out in the backcountry and need a fire starter? Well, the answer is simple. You use what Mother Nature has given you and that is fatwood. Fatwood is the resin soaked wood of the yellow pines, which includes the Ponderosa and Lodgepole pines. These trees produce an orange to red flesh that is full of resin. Harvesting this wood may seem a lot of work but believe it or not the fatwood wood will ignite even in rain. To begin the harvesting process, one must first find these trees. If you are not good at tree identification, make sure to take a book with you when you enter the forest. Also, check the area’s regulations on harvesting wood. Once you have the o.k., you are ready to go out and find your fatwood. Fatwood can be found on all parts of the tree, including the roots. The first approach is to search out dead trees. While the resin will decrease quickly, it is worth the effort to cut into these trees to see if there is any resin left. Orange or red colors going throughout the wood will indicate that there is resin. If this does not work, move on to live trees. Once you find your yellow pines, do not just begin to cut into the tree. Instead, look for a dead branch near the ground and cut even with the tree. This will serve two purposes. One, it will prevent a fire ladder from forming and two; it will give you a window into where you may find fatwood. In several cases, there is still fatwood in the “dead” branch where it is attached to the tree. If this is the case, simply cut off the orange or red section of the “dead” branch. On the other hand, if the branch is completely dead, continue to search other branches for the fatwood. After you have found your fatwood, remove any bark from the piece of wood. To keep your fatwood handy, consider making a fatwood necklace. The steps for this are easy and only require you to have a piece of fatwood that is about as thick as your thumb and as long as you would like. Next, just drill a hole in the top and run a cord through the hole. To use your fatwood is easy and starts off with shaving little pieces off and placing them in the location where you want a fire. 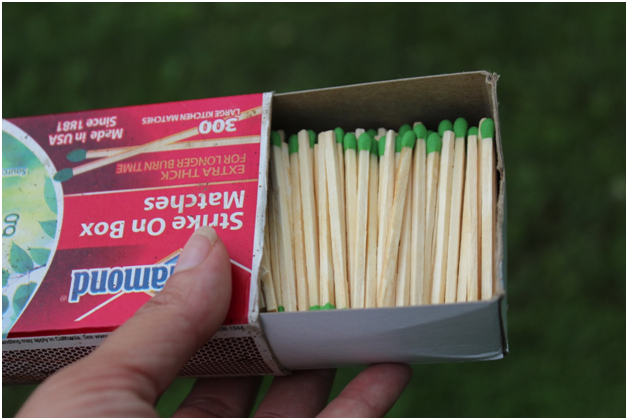 Strike the fatwood (tinder) with any fire starting tool you may have, such as matches and away it will burn. Once that has happened add kindling and continue to add larger pieces of wood as the fire builds.